SHOOTING THE BREEZE. . . . . . . . . . . . Carolyn Carr. Time for summer, BIYC and the Thursday night movies on Agate at the Beek Center. If your children haven’t signed up for BIYC that information is available all year long on http://www.balboa-island.com on the “New Resident Page”. We all want to thank Dennis Vitarelli who, once again, creates this wonderful night for all the children of Balboa Island. The movies take place from dusk until 10 pm for 7 weeks on Thursday nights beginning on July 2. Bring your popcorn, a chair, a drink and be ready to relax and enjoy!! I have also added another page to http://www.balboa-island.com - a “Lost and Found”. Over the years I have been contacted on the Internet and at my office with requests to find something—most recently a lost camera. Or someone will bring something in—like keys— they have found. 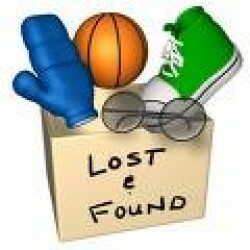 In an effort to match finder and loser we created this page. We live in Newport Coast and were down on the island w/our dogs yesterday (Sunday May 24), sitting on the benches in front of the Village Inn, and we left our camera there. Can you please post that on your website? WE will give a reward if returned. Also is there a lost and found on the island? We have been trying to call the VI, but apparently website?? We will give a reward if returned, Also is there a lost and found on the Island? We have been trying to call the VI, but apparently they are not open yet. The camera is a Nikon and it has hundreds of meaningful pictures we have taken over 6 months. We really appreciate any help you can offer, and we sure do hope to get it back. Thank you, Warm Regards Erin and Steve. Hi, thank you for your response. We have great news—when the VI opened yesterday at 3:00 , we called and she said a lady walking by saw it on the bench in front and turned it in to her! What a nice, honest, person! I had a good feeling, that the “right” person would run across it and turn it in. I told the gal at the VI—that is the reason I love the Island. Great people!!! And that is the reason I love the Island and hope to be here for a long time to come. It also reminds me that my son lost a camera he was carrying around with pictures he had taken of a family cruise that he had neglected to download to his computer. If you have a digital camera— remember to download the pictures often—the cameras are replaceable—the memories aren’t!! As well as Shoulder and Neck Massages!! We now have a full service salon on our Island!! Maryam has recently added Paulina Vo to her staff at Maryam’s Salon—221 Marine Avenue . Paulina is wonderful. Pauline is from a large family. She came here from Vietnam with her parents and several sisters, the first of whom arrived in 1975. At first she spent time taking care of her elderly father and massaging his arthritic joints for hours—that is where her massage skills were born. Pauline’s four sisters are here in the United States, she has one brother in Canada and one in Vietnam. Pauline has a daughter—and two grandchildren, Kevin and Joseph, whom she spends a lot of time with when she isn’t making us beautiful. One afternoon I was the lucky beneficiary of Pauline’s treatments. I had a manicure, a pedicure and a shoulder massage I have had several pedicures, but this was the first time the operator put a plastic bag over the foot bath to make sure it was sterile just for me. Everything was clean, soothing and fabulous. Pauline has a gentle, relaxing touch. I loved my time in her care. . I left Maryam’s looking and feeling like a million dollars. I will come back and see Pauline very soon. That was the information I found on the “Orange County Make a Wish Foundation” website this winter. I love Ciao restaurant and its owner Tony anyway, but this encouraged me to frequent the restaurant a little more often in the slow season. Tony got this idea when he stopped in for coffee at his favorite Starbucks on Bristol by his house. There was a little boy there balancing on the stones out front. He was about 8 years old. He was missing part of his arm. Tony wanted to give the boy anything in the store he could. But knowing how parents feel these days about strangers approaching small children, he decided there must be a way to help disabled children. This is his way. Tony plans to do this every year—and he thinks of this boy often. I am more than happy to patronize Tony’s Restaurant all year long and especially when he is donating to his favorite charities. In October he is planning to make CHOC one of his beneficiaries—that one little boy is helping a lot of other children!! 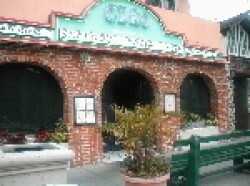 Ciao is located at 223 Marine Avenue on Balboa Island. 949.675.4070. SWIM FOR A LONGER LIFE—Swimmers live longer than walkers and runners. And not just a little bit longer either. In a study of 40,000 men ages 20 to 90 who were followed for 32 years, swimmers were 50 percent less likely to die during the study period than were walkers or runners. Swimming can be done year around and is low impact and swimmers are less likely to be injured. (From July/August 2009 AARP Magazine). I just wish we were putting a community swimming pool in one of the parks that are being created in Newport Beach. AN APPLE A DAY—When pregnant women eat apples, their children tend to have lower rates of asthma, Dutch research suggests. Since over 10 million Americans suffer from this disease, anything that can prevent asthma is well worth considering. Researchers suspect the flavonoids and other antioxidants in this popular fruit may be responsible. Quercetin, one such flavonoid in apples, works much like an antihistamine, diminishing allergic reactions and helping to fight inflammation. One more reason to eat fruit daily. DISHES SPARKLE WITH VINEGAR—Lately I have been adding a quarter cup of vinegar to my dishwasher on the rinse cycle. It has helped my glasses come out film free—the Jet Dry alone didn’t work as well. And since the stainless steel on the inside of the dishwasher is bright and shiny, I know it is taking the hard water deposits down the drain! WHY YOU SHOULD USE A CAR WASH—When you wash your car at home the dirty water tinged with traces of motor oil, antifreeze and gasoline that your car has picked up on the road, runs down into our storm drains and into the bay—where BIYC is being held as you read this, where children swim, where wildlife tries to live. On the other hand, the runoff produced by an automatic car wash is subject to waste-water laws. That means either it goes to the local sewage-treatment plant, where it is filtered and cleaned, just like the water from your pipes at home, or it is recycled on-site by the business. The leftover gunk is disposed of at a landfill. Automatic car washes also use as little as 30 gallons per car. At home, with a regular garden hose, you will use that amount of water in about four minutes. Gunk to the land fill!!! Wasting water!!! Those are issues we are sensitive to—take that car to the car wash and give the bay and yourself a break. Saturday July 11—Joining Rick will be Special Guest Musicians Alan Remington (Sax and Flute), and Raffi Yakubian (percussion) At the Villa Nova Restaurant, 3131 W. Coast Highway, Newport Beach, 92663. 949.642.7880. 8 pm—1 am (Reservations not necessary in the Lounge). Rick will also be at the Villa Nova on July 17 and 18. The Village Inn (8:30pm—11:30 pm)—July 18th, August 1, August 15, Sept. 5. The Azteca ( 7pm—10 pm) First Sunday of Every Month. Bright, Airy, Quiet Studio Apartment w/Sleeping Loft. Queen Sized Bed– Super Comfortable!! DirecTv in Living and Sleeping Areas. Wireless Internet Access. We Supply the Linens and the Coffee!!! What I Said Never Changed Anybody; What They Understood Did . . . . Paul P.
One Small Hint—If you have pets or people on your carpets you will love this wonderful fiber! We Know Who Buys America’s Flooring!! !